Ferretti Yachts celebrated its 50th Anniversary for the first time in the U.S. at the 30th Annual Miami Yacht Show this past February, ahead of the primary Ferretti Yachts 50th Anniversary event to be held June 21-24th in Venice, Italy. When talking about luxury yachting, the first name that comes to mind is Ferretti Yachts, for 50 years in the heart of yacht owners worldwide thanks to its innovative and elegant yachts. At the Hurun Best of the Best Awards held in Shanghai – Ferretti was named 2018 ‘Best Luxury Yacht Brand’ for the fifth consecutive year. This important recognition confirms Ferretti Yachts as the leading luxury yachting brand in Asia. Ferretti Yachts has been present in China for over twenty years. Precisely by virtue of this privileged relationship with the Asian market, it created the Tai He Ban version for all yachts in range, modulated according to the desires and tastes of yacht owners in the Far East. Aboard the yachts, this layout includes spaces designed especially for business meetings, official receptions, informal meetings, and entertainment occasions, combined with decor solutions in line with the most up-to-date interior design trends in Asia. In celebration honoring the evolution of the brand, the Ferretti Yachts 780 Tai He Ban Edition will appear at the Singapore Yacht Show 12-15 April 2018. This exceptional flybridge yacht offers a modern and rewarding yachting experience. While the Ferretti 780 had its worldwide debut at the Cannes Yachting Festival in 2017, the ‘Tai He Ban’ version has only just launched and will be presented to the Asian market. 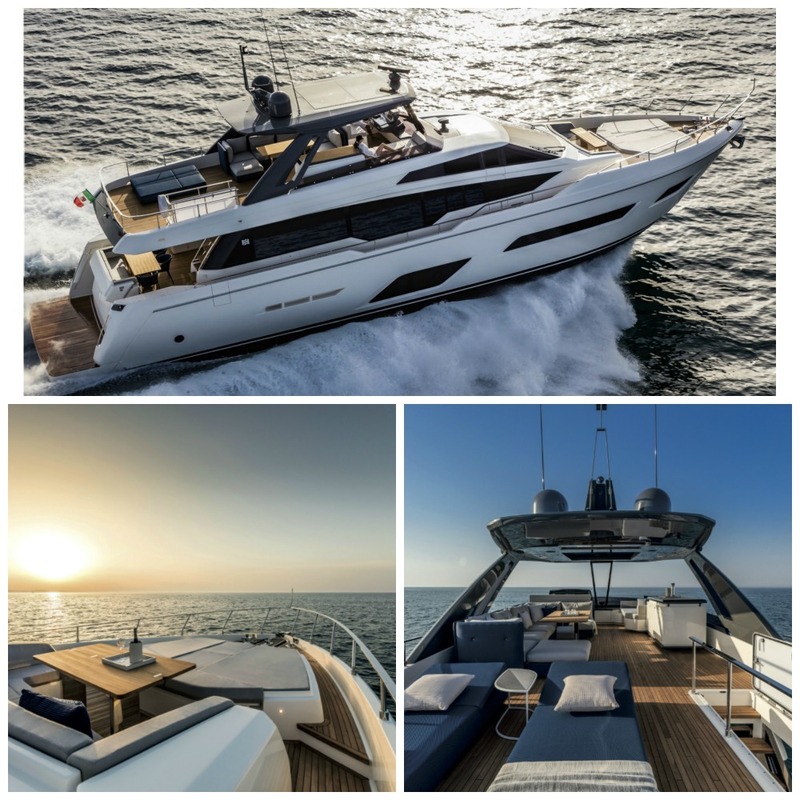 Many of the most sought after features from various Ferretti models launched over the last three years can be found in this yacht, but she has inherited so much more – most importantly the new elements that have been added that continues the Ferretti philosophy of always developing cutting-edge solutions to make yachting more enjoyable.